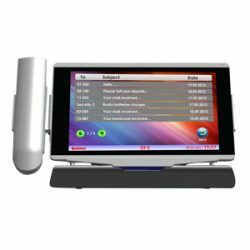 Access to all VIP 100-STD features via a ten inch touch-screen display. 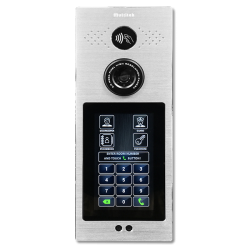 Using the five finger fast touch detection and long life with capacitive touch screen. The main screen displays time, date, ambient temperature, along with many function icons. 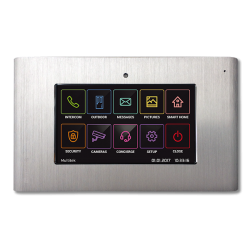 The VIP100 – STD (IP Monitor) is a long Iife screen with fast touch detection and capacitive touch function, all in a Android GUI.